Defining bossa nova music sounds like an easy enough request, but the history of bossa nova is complicated. Some people argue its beginning and end points, and some people disagree on what makes a bossa nova identifiable as bossa nova. Despite the debate, however, bossa nova has had a tremendous influence on everything from jazz to rock to dance music. 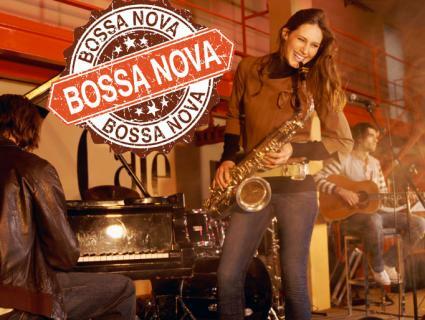 "Bossa nova" translates to "new thing" in Portuguese, and that name suggests a stigma that bossa nova has always carried: that it was something of a musical fad. It became hugely popular and fashionable in Brazil in the mid-1950s to mid-1960s as well as with those in the know in the U.S. and Europe. However, despite its popularity and association with the "hipsters" of the day, bossa nova wasn't a passing musical trend that has stayed in the past. The years 1958 - 1963 are considered to be the peak years for bossa nova. 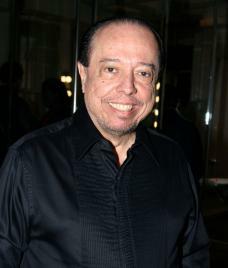 The style gained international prominence thanks to the popularity of the film Black Orhpeus, which featured many songs by Joao Gilberto, who is often credited with developing bossa nova music. The music particularly clicked with American jazz musicians, who began collaborating with Brazilian bossa nova artists. The two musical styles exchanged many ideas, and these influences can still be heard in both American jazz and Brazilian musical styles such as samba. After 1963, bossa nova had become so popular and mainstream that many of the original artists associated with the movement had moved on to new things, especially the equally influential Tropicalia movement in Brazil. Bossa nova persists as a musical style today, albeit in an extremely diluted and watered down incarnation. The influence can also be heard in jazz, Caribbean music styles, electronica and rock music, especially modern Brazilian rock music. Define Bossa Nova Music: What Does It Sound Like? Nylon stringed classical guitar forms the basis of most bossa nova songs. The guitar and a single vocalist made up the earliest bossa nova songs, but later, jazz arrangements with tambourines, drums and brass instruments became common. Piano is also an element in later bossa nova music. Bossa nova takes many of its musical cues from samba music and to the uninitiated, it is a good starting point for a description. American and UK music fans might recognize bossa nova style in so-called "lounge music." The most well known bossa nova song is The Girl From Ipanema (Garota de Ipanema). The song was written by Antonio Carlos Jobim and performed by Jobim, Stan Getz, Joao Gilberto and Astrud Gilberto, Joao's wife who sang the vocals. It won a Grammy in 1965 for Record of the Year. The song was originally written and sung in Portuguese but Norman Gimbel. The song was written about a then 15-year-old girl named Heloísa Eneida Menezes Paes Pinto. Jobim would frequently see Pinto on her way to the beach at he sat in the Ipanema restaurant Veloso. Since the song became famous, Pinto has become a celebrity in Brazil.